Streetbees App Review: Is it legit or Scam? 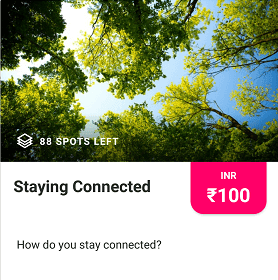 Streetbees is a unique survey platform that helps companies like Pepsi, Unilever, Vodafone, BBC to acquire insights on consumer behavior through creative tasks & surveys. The ones who complete those tasks (you and me) are called bees. You can access streetbees on your PC or you can download the Streetbees app for your iOS/Android device. Since most of the tasks involve taking pictures and videos, it would be better to install the app on your mobile. How to earn with Streetbees. Is Streetbees legit or scam? 1. Download the app for Android or iOS. 5. 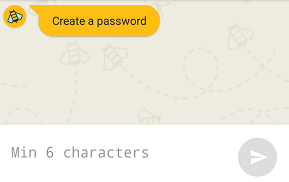 Create a password of minimum 6 characters. 7. Accept the terms & conditions and continue. 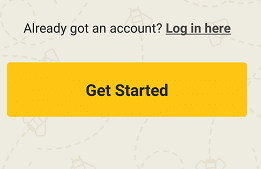 Tasks are the easiest and fun ways to earn from Streetbees. Usually, these tasks require you to take pictures of something like when you make coffee when you are out shopping, etc. Sometimes you will need to upload a video of a certain activity like when you are making your favorite noodles, coffee and more. Companies pay Streetbees that shares a part with you when you complete these tasks. So, why do they pay you for letting them know how you make tea/coffee? Well, because this helps them study consumers behavior. They use these insights to create more appealing advertisements and products. Which of course will increase their turnover. The type and number of tasks you receive depend on the country & city you reside in. For example, if you are from India like me, there is a good chance that the number of tasks you’re gonna receive is very low unless you live in a big city like Mumbai. It doesn’t mean ‘bees’ from USA or UK get 10s of tasks every day. They only get 1-3 tasks per week. If you've read my earlier reviews you know how much I hate taking surveys. And two main reasons for that are- 1st: they are boring and lengthy 2nd: after spending a good amount of time you're screened out of the survey. Like, yesterday I was completing a survey on ThePanelStation the reward for which was 350 points (I’m just 250 points away from the minimum payment threshold- the reason why I’m still using it. ). After answering questions for almost 7 minutes, I hit the ‘submit’ button, just to see this error message: Sorry you did not qualify for this survey. But Streetbees takes care of both of these issues. 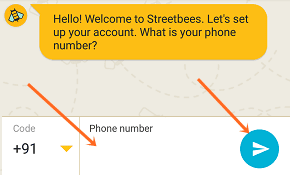 Surveys at Streetbees are short and they'll ask the important questions up front so that if the survey is not meant for you don't have to complete 70-80% of the survey before you are screened out. Generally, you'll be screened out between 1st-3rd question, if you don't fit the survey. Which is a great relief as you can save your time & effort. Just like tasks availability of surveys and rewards vary by region. I’ve received just one survey which was around 3 minutes long and paid Rs. 100. But, I didn't fit the criteria and was screened out on 2nd question. The surveys that pay, clearly display the reward that you’ll get on completing them. 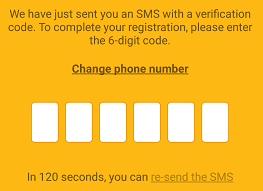 They do send you some short surveys(about 3 minutes long) regularly which don't pay you anything but help Streetbees to send you relevant and more surveys and tasks. You can refer your friends to streetbees and earn more. 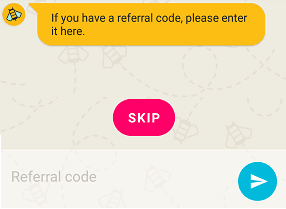 For your friends to become your referral they need to enter your referral code on registration. You'll earn every time your referred friends complete a task. One of the things I liked most about Streetbees is that there is no minimum payment threshold. And the payments are made to your PayPal account. You don't have to manually redeem your earned cash either. Once you complete a task/survey, the reward will be sent to your PayPal account within 48 hours. Yes. Streetbees is a legit app. Streetbees offer a fun way to earn cash- Tasks. The surveys that they provide are also short and high paying. And the best part is you don't have to wait to reach a minimum payment threshold to redeem your earnings. Your rewards will be sent to as soon as you complete a task. What do you think of Street? 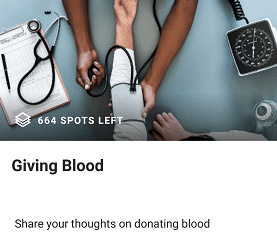 If you used or going to use this app please share your experience through the comment box below.